New York Fashion Week has be stretched and perverted by smaller venues competing for the same press as the big boys but if the designers they show are not serious nor the show’s promoter then what’s the point. 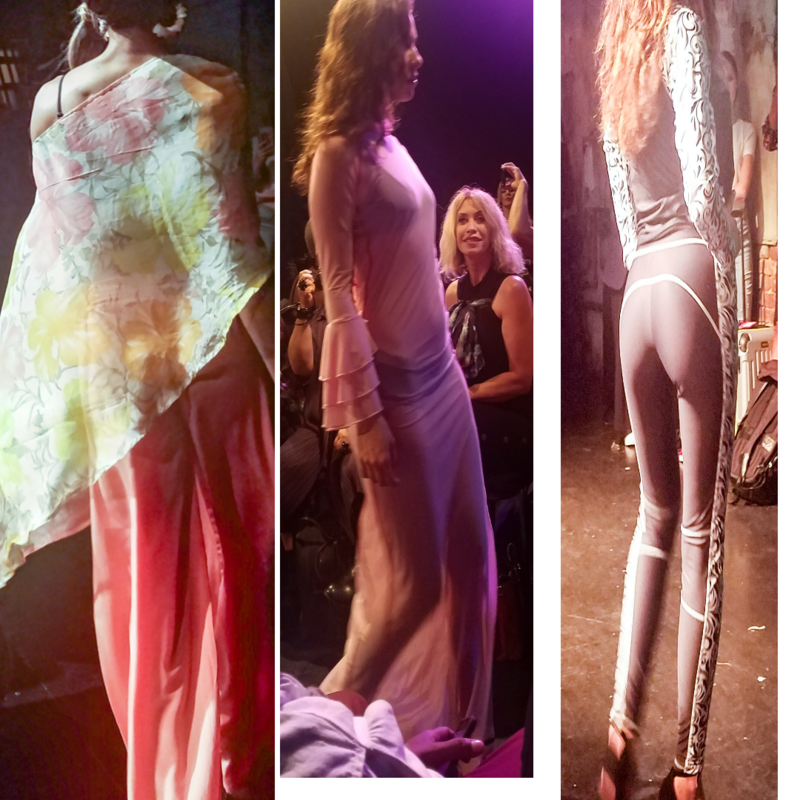 Shows like Style Fashion Week and Art Heart have used the designers they show complete with the right venue and press to become shows worthy of being alternative fashion venues. Shows like Style Fashion week not only occur after official fashion week ends but are only 1 day and 1 location. That’s not fashion week which spans Thursday to next Thursday. I suppose they think we must be stupid after paying for seats at these shows that we won’t notice that you are presenting the same looks in different colors and patterns. 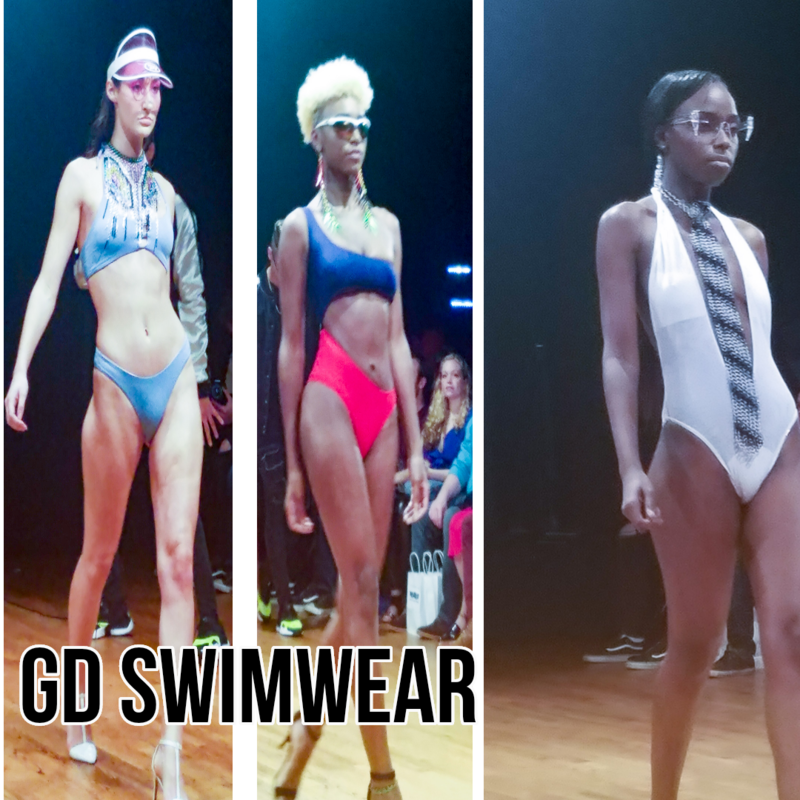 GD swimwear at Street Style fashion week (1 night only) did just that and even colluding their show with things they did not make to create more looks which was just confusing. Temiti Sportswear at Above Time also pulled the same stunt with just 3 looks in 6 colors and patterns. [declaimer: I was contacted by the owner and it being a small family owned business. Apparently they only manufacture products their customers love. It’s a great strategy and they really did not need a fashion week]. I am sure every show planner knows how many tickets are sold versus how much the venue can hold but Street Style Fashion week seemed clueless selling 5,000 seats to a 3,000 seat venue. I know eventbrite allows you to cap ticket numbers so this was definitely pure greed. Once more tickets were sold then anticipated, they had 2 options: Divide the show into 2 days and create a program for both days and let people RSVP for day 1 or 2 or move the venue. Instead, they lied about the show being over not only denying the designers press but also leaving people outside. Conclusively, all these small venues do is destroy the entire fashion week magic and is probably why fewer designers are showing here. Wake up CFDA, NY is loosing its fashion capital status.